Cheikh was joined on stage by two other noteworthy members of the city’s tech community – Erin Crowe, the chief financial officer at Kanata-based Martello Technologies, and venture capitalist and serial entrepreneur Mike Weider. 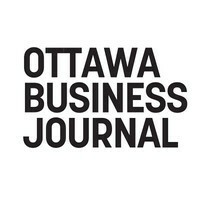 The panellists also cited Ottawa’s maturing investment scene as a driver of tech growth, noting the emergence of locally based VCs such as Mistral Venture Partners and the rising number of firms from Boston, New York and Toronto that are setting their sights on enterprises in the capital. “We always need more (venture capital), but it is a lot better than it was 20 years ago when I started,” Weider said. Crowe agreed, saying Martello wouldn’t be where it is today without the early financial backing it received from Terry Matthews and his Wesley Clover investment firm. “You need people like that to keep developing the city,” she said.